Bundesliga | Hoffenheim's Benjamin Hübner: "Looking forward to playing in Europe"
Hoffenheim's Benjamin Hübner: "Looking forward to playing in Europe"
As far as debut seasons go, Hoffenheim defender Benjamin Hübner could not have asked for much more from the 2016/17 campaign. A summer 2016 transfer from Ingolstadt, the 27-year-old formed an integral part of the side that clinched a place in the UEFA Champions League group stage play-off round after surpassing all expectations to finish fourth in the final Bundesliga standings. bundesliga.com: The recently ended season was the most successful in Hoffenheim's history. When did you sense for the first time that you could achieve big things this term, having gone so close to relegation last season? 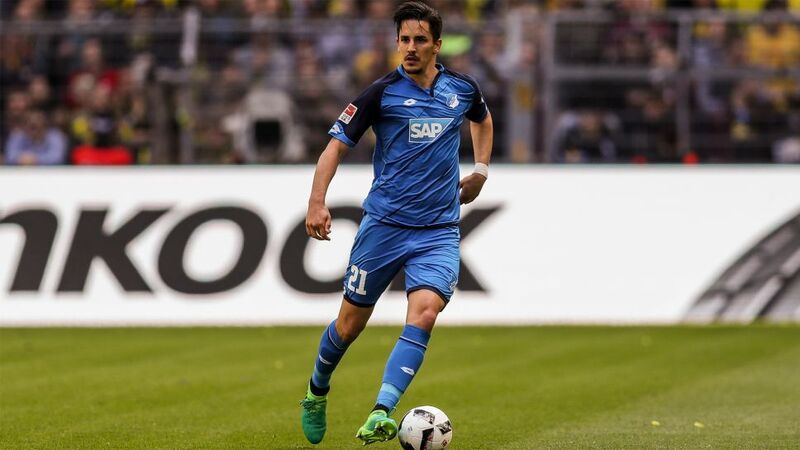 Benjamin Hübner: I think that became clear over the course of the first half of the season. The results were good, as was the way we were playing. We were the better team in most games. That gives you a good feeling, both individually and as a team. It wasn't just three or four games, but 15, 16 or 17.
bundesliga.com: At the start of the season you said: 'We want to play the kind of football people can identify with.' Can you explain what Hoffenheim's kind of football is? Hübner: We want to have the ball and we play football, in every sense of the word. Playing long balls is only a last resort for us; we want to solve problems by playing well. I think that sets us apart from other teams. On top of that, we're very flexible tactically and can change our shape several times during a game if we need to. bundesliga.com: Coach Julian Nagelsmann has also played a key role in Hoffenheim's success. What was your first full season under him like, compared to coaches at your previous clubs? Hübner: Julian is a real expert with a very clear idea about football. But that's nothing new. He's also got a very good relationship with the squad, and with every single player in the team. He manages to keep players motivated even when they haven't played as much. That's a big advantage. bundesliga.com: Nagelsmann is only two years older than you and has never played professionally. Was that something you thought about at the beginning? Hübner: No, never. The discussions with him and [sporting director] Alexander Rosen ahead of my transfer last summer were very good and showed me who he is and just how competent he is. His age has never been an issue for me. bundesliga.com: When you moved to Hoffenheim from Ingolstadt last summer you needed a bit of time to establish yourself. What is different here than at your former club? Hübner: The style of play is different and training is too. I just needed a couple of weeks to adapt. The coach helped me a lot during this time. He talked to me and repeatedly made it clear what he expects of me. He also gave me the time I needed to adapt. bundesliga.com: You only made your Bundesliga debut at the age of 26. Had you given up on the idea of playing top-flight football prior to that? Hübner: I didn't take the usual path. For example, I never boarded at an academy like many of my team-mates did. But I always believed I could make it. The dream never died. Hübner: We're all very happy about that. We played a lot of games with that line-up but we can change who plays at any time. The fact we have one of the best defences in the league isn't only down to the backline, though; it's a credit to the whole team. Hübner: I'm absolutely convinced he can succeed in the Bundesliga and I'm delighted they earned promotion. bundesliga.com: Would you like to play in the same team as him one day? bundesliga.com: Your father is an ex-footballer and you and your two brothers have played the game ever since you were children. How did your mother cope? Hübner: She didn't have an easy time with us [laughs] because we'd talk about football a lot at home too. But she did an excellent job and I'm very grateful for everything she did, and still does, for me and my brothers. bundesliga.com: Next season you'll play in Europe for the first time ever. Do you think you'll be a bit nervous? Hübner: I'm simply just going to enjoy it. It's why you become a footballer. You want to test yourself against the best and I believe our team can do that. We're all really looking forward to those special midweek games.